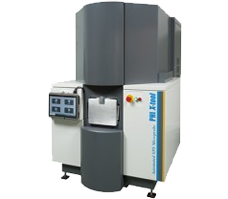 XPS, TOF-SIMS and scanning Auger surface analysis instruments for chemical characterisation, nano-scale feature analysis and thin films. Official distributor in the UK and Ireland. 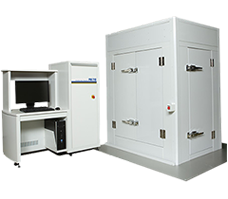 Physical Electronics is a leading supplier of TOF-SIMS, XPS and Auger surface analysis instruments for surface chemical characterisation, nano-scale feature analysis and thin film characterisation. 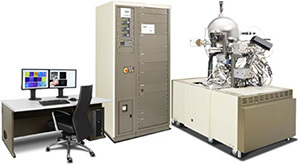 XPS (X-Ray Photoelectron Spectroscopy), also known as ESCA (Electron Spectroscopy for Chemical Analysis) is a widely used surface analysis technique that is easy to use, with relatively simple data interpretation. XPS provides information about surface layers and thin film structures, which is invaluable in industrial applications including polymer surface modification, catalysis, corrosion, adhesion, semiconductor and dielectric materials, electronics packaging, magnetic media and thin film coatings.